CHEW IT!!! EDUCATING CHILDREN IN HEALTHY NUTRITIONAL CHOICES! [framed_box bgColor=”undefined” textColor=”undefined” rounded=”true”] By 2004, Americans were consuming over 135 gallons of fluid other than water every day (about 1.5 liters/person). 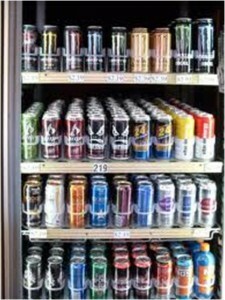 [/framed_box] Beverages sweetened with High Fructose Corn Syrup are consumed at a rate of 35 gallons/year, (followed by beer consumption…which at least has some nutrients…). Globally, 1 billion soda drinks are swallowed each day, including energy drinks. Now, that is a lot of calories. But it is a lot more than just a calorie problem. Let me clarify: it is a calorie problem, but there is a lot more going on than meets the eye. Let’s back up a few hundred thousand years and discuss what our great, great, great, great grandfathers drank. They drank water, water, and then they had some water, and occasionally milk. That’s it. Water is of course water, a wonderful calorie free beverage that you will certainly die without – ‘nuff said. Milk contains protein, carbs, fat, vitamins, etc. and by some is considered ‘food’. This is important in considering something called caloric compensation. Caloric compensation in dietary terms is the adjustment of the body to calories consumed throughout the day. This means, back to that regulatory, homeostatic mechanism at play, that if you sit down at lunch and eat 1500 calories, you are likely to eat less food later in the day, as you have compensated for the load at lunch. Unfortunately, when you drink 1500 calories in pop in a day, a number of studies show that we humans cannot compensate for the liquid calories. Why? I will mention a couple reasons, but I won’t dive too deep here: Evolutionarily speaking, we never developed the ability, as sugar/caloric filled beverages are rather new on our human time line. Second, liquid calories are absorbed too quickly for hormonal reparation. Your hormones never have a chance to respond to the calories and tell your brain you have had enough. What does this all mean? 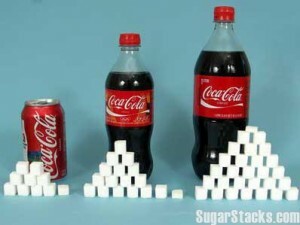 The intake of liquid calories (primarily sweetened drinks) does not reduce your intake of solid food! Some studies have even shown an increase in calories consumed in solid food with sweetened beverages in your diet! Why are our kids getting fatter? Wait! There is more! Sensory mechanisms respond differently to things in solution vs. solids. This means that when something tastes good in solid form, it is much better in liquid form. Your taste buds respond to them differently! Sweet beverages are sweeter than solid sweets. Even the smell of sweet liquids (even diet drinks…) increases the cephalic insulin response. That means when you smell something sweet like that sugar-filled, told it’s good for you, fruit juice or soda pop, you get hungry and tend to eat to satisfy it. Simple physics even provides some clues: Pour a liquid down a tube vs. pouring some mud down a tube. Your body literally does not see the sodas, fruit juices, and energy drinks until the calories are absorbed in the small intestine. The hormonal guards that tell you to quit stuffing your gullet never had time to respond! I want to make an offer to everyone reading. If you are passionate about our kid’s health, email me some ideas that you have found helped keep your kids (or any kid, even yourself!) off sugar drinks. Potential ideas to keep kids off sugar drinks will be accepted as well! If I like and then print your idea on the Internet or in any of the various periodicals I write for, I will send you some CHEW IT! stickers and information so you can spread the word and start making a difference! What are you to do with these stickers? If you were born in the 60s or 70s you likely remember the poison control sticker our parents would put on all the bleach bottles and cleaners – from table polish to pure ammonia – those little poison control stickers where everywhere! To this day, I could see one of those stickers on a bottle of water and I would avoid drinking it. I would encourage you to start placing the CHEW IT! sticker on your kids pop bottles, post them in the gym on the bulletin board (with permission of course), give them to your kids teacher to place around the classroom and lunch room. Please do not, tempting as it is, stick them on the vending machine in the grocery store or anywhere someone would get upset – we do not want to be vandals, just crusaders! All of us: parents, teachers, uncles, aunts, friends need to discourage liquid calorie intake. 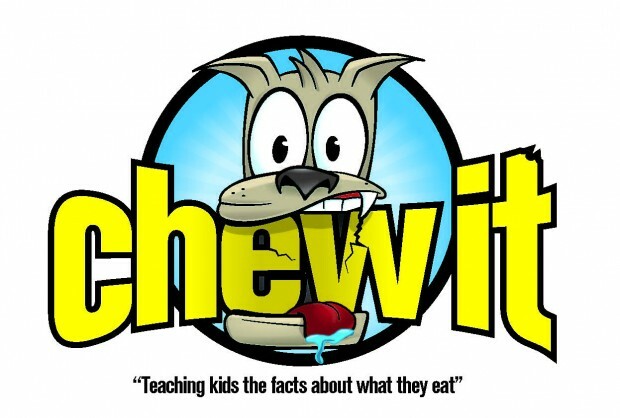 Of course it’s a great idea for us as well, but we really need to direct kids to CHEW their food, not drink it. Let’s all work with the CHEW IT! campaign to help kids understand that pop, fruit juices, and other forms of liquid calories are toxic! [iframe src=”http://www.screencast.com/users/drwilley.com/folders/Camtasia Studio/media/b7693c89-a60f-461e-bb1a-c17f459fa677/embed” width=”630″ height=”354″]Click on this video to hear a quick CHEW IT presentation and overview.